Domaine Roxane Matsa Malgouzia Matsa is a white dry wine which has a rich yellow colour with greenish tints. It is a nice crisp, fresh white wine with lemon character and citrus flavour. 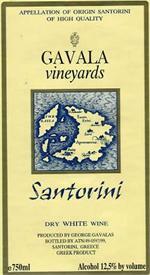 This wine is made from the finest grape varieties that Santorini has to offer, Assyrtiko and Aidani. It offers a wonderful bright golden color, backed up by the fruit aromas of melon and citrus. Finishes with crisp acidity. MONEMVASIA LALOUDI has a clear, dark ruby red color characteristic of the agiorgitiko variety. It has a velvety, soft round taste with a long finish in the palate. This wine is ideal for long-term maturing. It should be served at 16°-18°C. 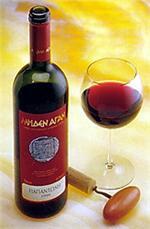 Meden Agan has a clear, dark ruby red color characteristic of the agiorgitiko variety. 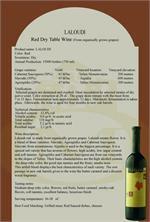 It has a velvety, soft round taste with a long finish in the palate. This wine is ideal for long-term maturing. It should be served at 16°-18°C. Nemea Tselepou is a wine accessible from an early stage. Dry, with a soft velvety taste and an abundance of aromas from fruits and nuts, it is a true representative of the versatile pontential of the agiorgitiko grape.